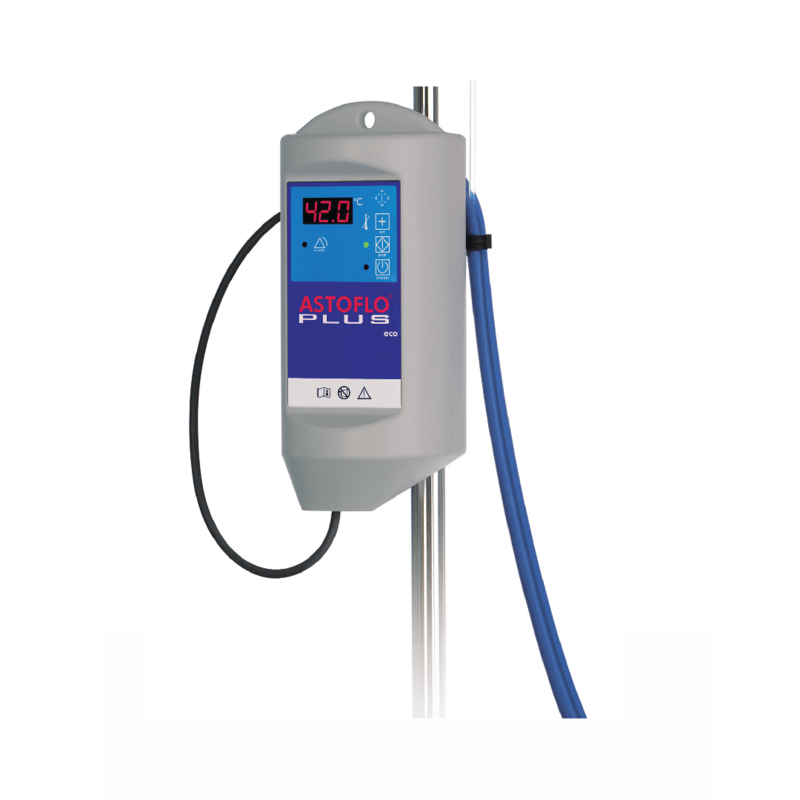 – WRO 300 H can be programmed to automatically start heat disinfection at specified intervals. 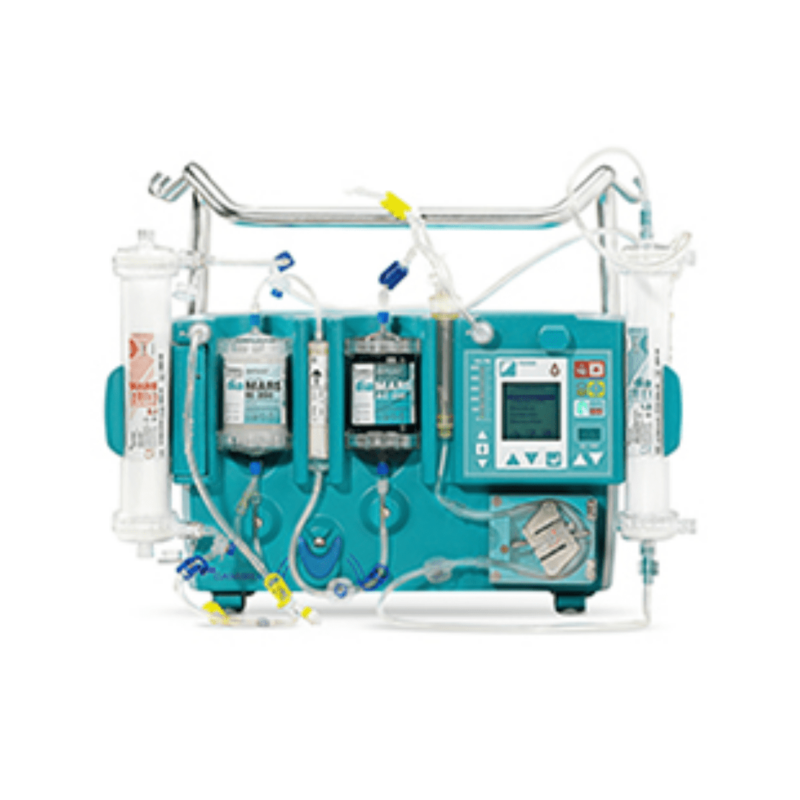 The quality of the water used in the preparation of dialysis fluid is very important. Even water considered as acceptable according to existing tap water regulations may have chronic as well as acute effects on the dialysis patient. The Gambro single patient reverse osmosis monitor WRO 300 H is specially designed to provide the high-quality water needed for dialysis. 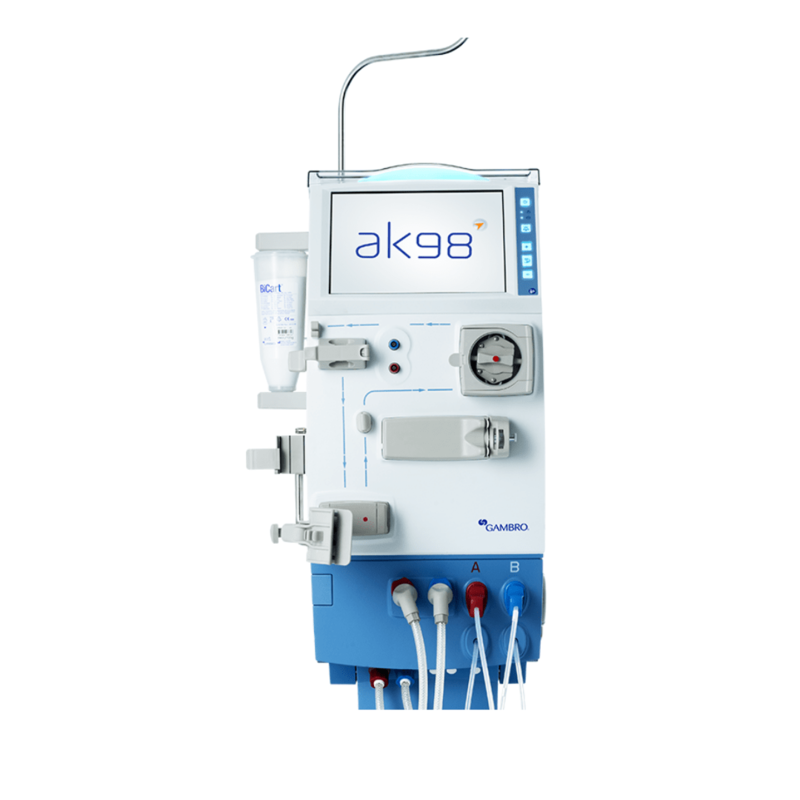 Reverse osmosis is today the preferred method for the purification of water for dialysis. This method removes more than 96% of dissolved salts and more than 99% of all particles, bacteria and pyrogens in the water. Most tap waters can therefore be purified to a standard, which complies with existing recommendations for water for dialysis. 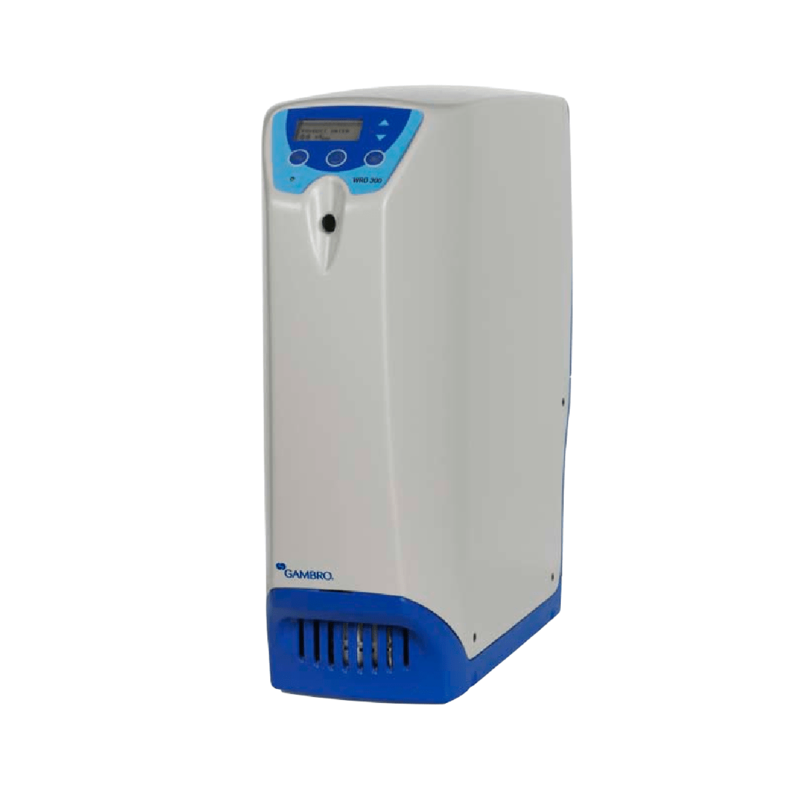 WRO 300 H is a reverse osmosis unit designed specifically for dialysis. It combines simplicity, reliability and ease of use and is based on the longtime experience of water treatment equipment within Gambro. 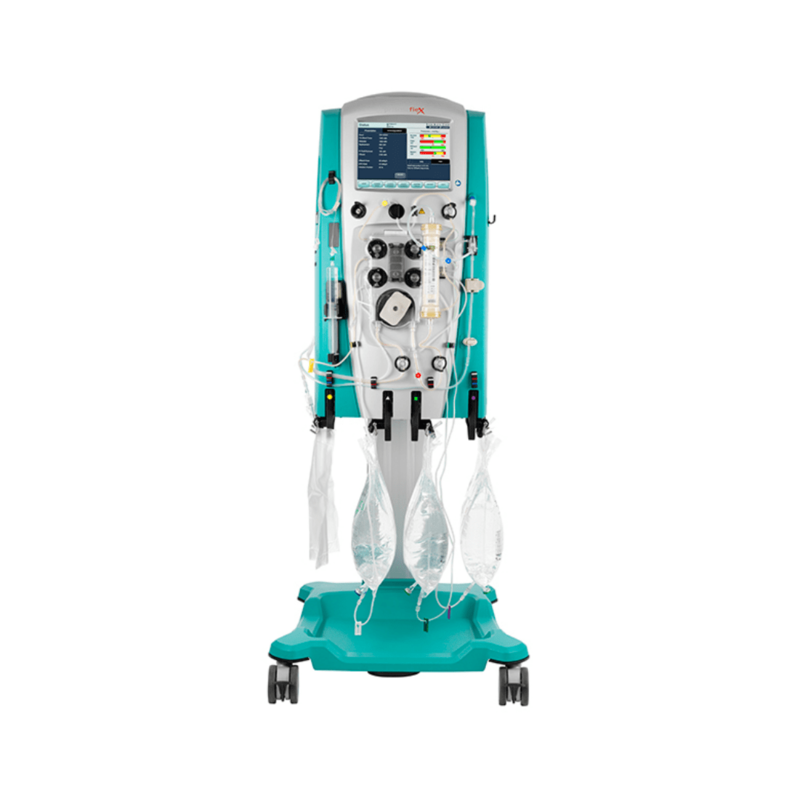 When WRO 300 H is fitted to a Gambro dialysis machine, one of the disinfection programs will allow an integrated heat, alternatively chemical disinfection of the reverse osmosis unit, the connection line to the dialysis machine and the dialysis machine itself. This “end-to-end” action will ensure that the hygienic chain remains unbroken. Quality: Potable water shall be used. Softener followed by carbon/particle filter ensures optimum performance. Rinse memory forcing the rinse program to start after chemical disinfection. Cleaning Customized programs for different needs.